The 22 inch durable polyester cord offers a comfortable way to hold something. 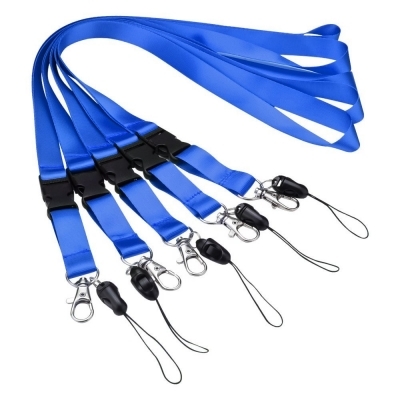 These lanyards are suitable for most cell phones, USB flash drive, PDAs, music players, portable games, key chain and devices. You don't have to worry about dropping your badge when you're out. And it is a good choice for small or large office use.